Brain Computer Interface is a technology that is based on acquisition of brain waves and then processed and interpreted by a computer. Brain Computer Interface establishes the way to interact with the outside through our “thinking” and these interfaces can transform into real action. As a simple example, with Brain Computer Interface, one can move a cursor on a laptop just by passive thoughts. There is reason why Brain Computer Interface has more success in primates like rats in experiment than in human. The age of Brain Computer Interface is 11 years, and the field has few knowledgeable persons who knows the both fields. EEG is the primitive interpretation of thoughts that is used by Brain Computer Interface. EEG can not fully catch active thoughts, they appear as noises. Understand the difference with passive thoughts – if you are a smoker, after holding it, your right hand will grab the lighter. This is many times wrongly labeled as reflex. This is not a reflex because you hand will go to your pocket if you have kept it in pocket the last time not towards your table. Its hypothalamus which has recorded its coordinates and prepared the program to be executed next time when you will hold the cig. This is it. An cochlear implant is not a Brain Computer Interface device. It simply takes up the noises / sounds, converts to micro volt signals and conveys to a neuron. As you can understand by now, these are not Brain Computer Interface – these are very primitive equipments. You can move a toy using this Brain Computer Interface devices. That is what Sony took patent in 2006. The Brain Computer Interface sensors are divided very arbitrarily – Invasive, non-invasive ; dry, wet. 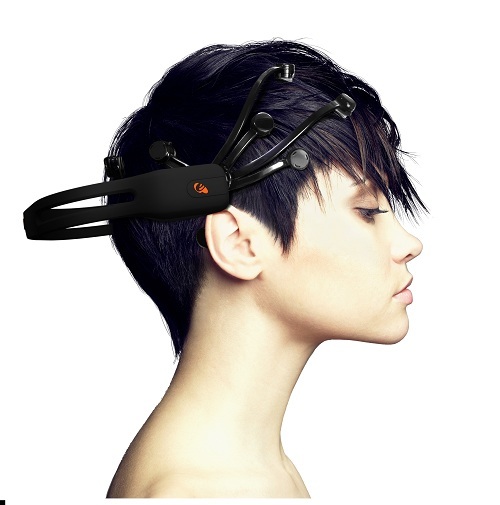 What Sony uses is dry non-invasive Brain Computer Interface sensor – that is the most advanced sensor. You may be thinking one such Brain Computer Interface device will cost few thousand dollars. No. Not so much – a Brain Computer Interface headset is less costly than your iPad. Emotiv has a good collection of Brain Computer Interface devices and softwares for the users and Research workers alike. This Article Has Been Shared 8790 Times! MySQL is an open-source server side software for relational database management system. Wider deployment options,integration with Apache makes it indispensable. how is dis bci different from the brain mapping that we have from forensic purposes ?? Kindly perform a search on article 20(3) of the Indian Constitution with Reference to Narco-Analysis and Brain Mapping. Cite this article as: Abhishek Ghosh, "Brain Computer Interface (BCI) : Using the Cortical Plasticity," in The Customize Windows, January 10, 2012, April 25, 2019, https://thecustomizewindows.com/2012/01/brain-computer-interface-bci-using-the-cortical-plasticity/.